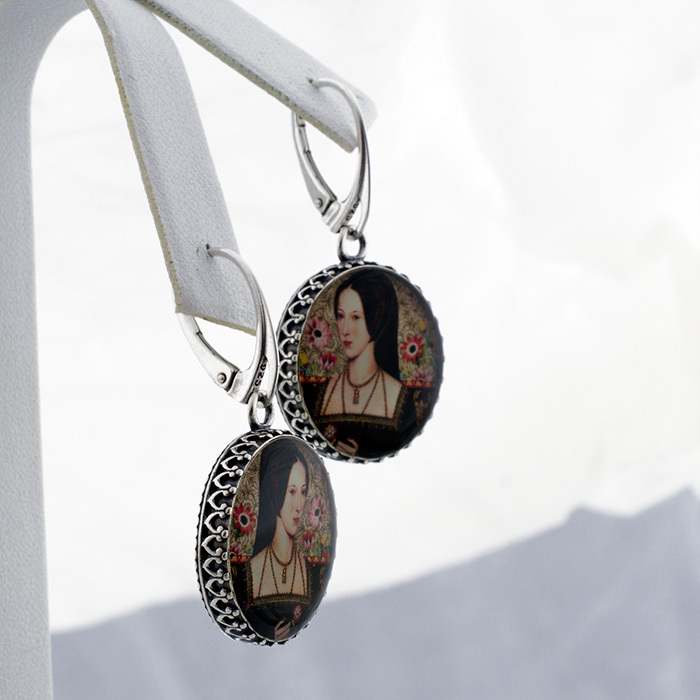 These beautiful, unique and collectible sterling silver earrings feature an image from a collage by Tiffini Elektra of Anne Boleyn holding The Tudor Rose with pieces of an antique anemone botanical and ornamental papers and bookplates. One of the symbolic meanings of the anemone flower is "forsaken". 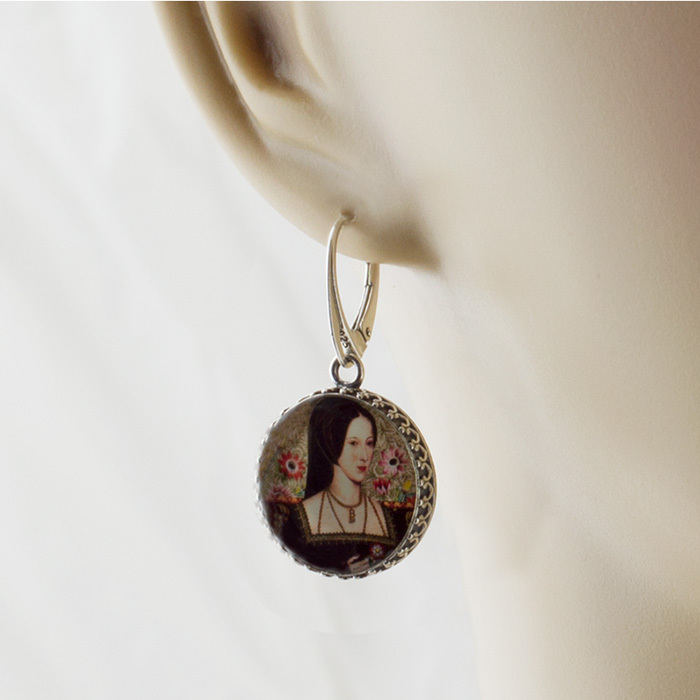 Dimensions: Earring Size is approx. 1 3/5" long x 4/5" wide (40mm long x 20mm wide) , Image size is approx. 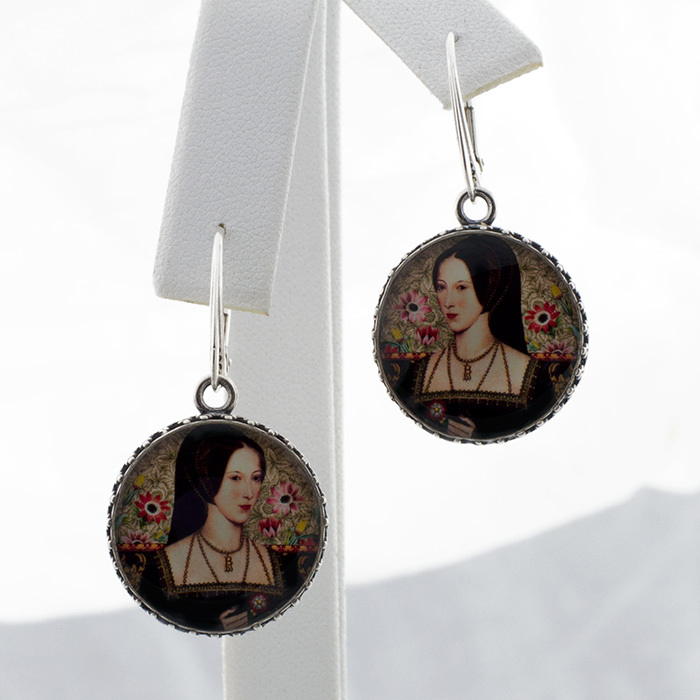 4/5" (20mm) diameter.